Michael Reginald Miller was born in Minneapolis, Minnesota on April 26, 1946 to Reginald and Beatrice (Fairbanks) Miller. His father worked as an auditor of the Bureau of Indian Affairs, traveling all across the United States. With all of the traveling, Mike attended nine different schools in eight years. He graduated from Miami South Dade High School in 1964. He continued his education at Applachain State University in Boone, North Carolina, graduating in 1968 and then attending the University of Minnesota – Duluth where he obtained his Master’s Degree in Social Work Research in 1983. 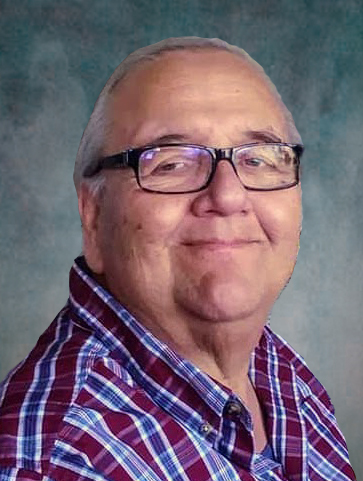 Mike dedicated his life to American Indian Education working for several different programs in Wisconsin and Minnesota. After working at Northland College in Ashland, Wisconsin and the University of Wisconsin – River Falls; Mike and Shirley moved to Morris in 1987 when Mike accepted a job at the University of Minnesota – Morris in the Multi-Cultural Student Program. He was the Native American Student Advisor. He also organized the annual CNIA Pow-Pow, World Touch Cultural Heritage Week, was instrumental in the creation of the Gateway Program, and mentored many students – which was his favorite aspect of the job! He is survived by his wife: Shirley Miller of Morris; two daughters: Karin Miller (Jess Waterhouse) of Hancock and Anna Mae Miller of Morris; two grandchildren: Jayson Weber and Kalyssa Mae Miller of Hancock; one sister: Jacqui (Bill) Cadotte of Hayward, WI; one brother: Ed (Pat) Miller of Ponsford, MN; sisters-in-law and brothers-in-law: Ronald (Christine) Wilson of Balsalm Lake, WI, David (Rita) Wilson of Madison, WI and Kathie (John) Wilson of Centuria, WI; and many nieces, nephews and cousins. He is preceded in death by his parents, Reginald and Beatrice Miller; parents-in-law, Lawrence and Muriel Wilson, and his nephew, Robert Jenkins.